I recently spoke at the International Conference of Shopping Centers West Texas Idea Exchange conference. Here is the presentation: Presentation on Mexican Nationals Impact to ICSC 4-22-15. Of the twenty counties included in this study, El Paso received the highest amount of spending by Mexican Nationals in 2012 at almost $446 million. Our estimate is that the largest amount of money is spent on clothing at about $205 million. On a side note, I was very impressed with the accomplishments El Paso has made in its economic development and its approach for future development. This includes an awesome new baseball park in their downtown and renovations to a new theater and improvements/additions to other arts facilities in their center city. They also have much more to come with some exciting mixed use projects downtown and in other parts of the city, as well as a streetcar serving the downtown area that will be installed in the neat future. I know the recent economic numbers don’t necessarily show it, but from my quick “on the street” view of the city, they are moving in the right direction. 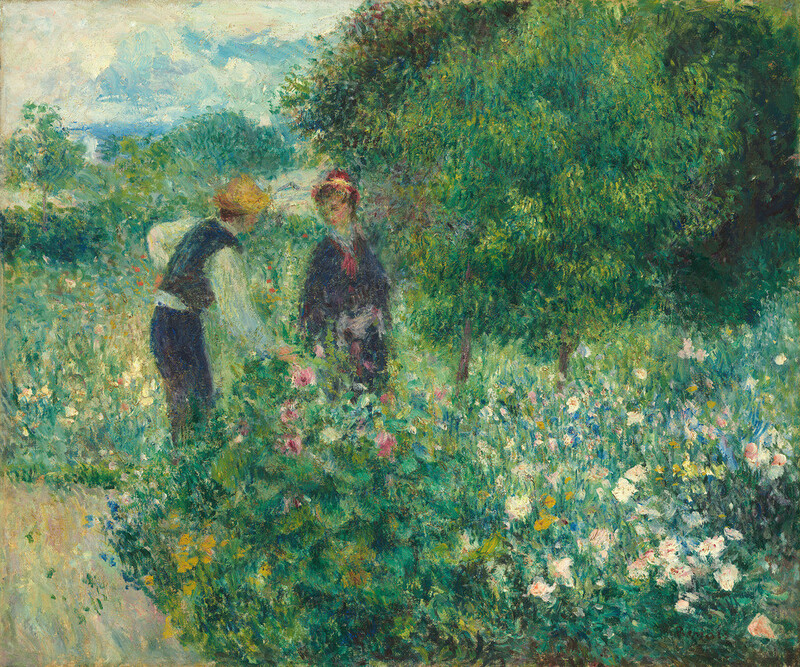 The one that made me say, “Wow” upon first seeing it was Renoir’s “Picking Flowers”, so it has to be considered my top pick on the list. Almost as fun and fascinating as seeing the art was overhearing the various conversations people were having about the paintings. They ranged from, “Those oysters sure look tasty”, to rather in-depth discussions about what the artist was actually trying to portray or might be thinking at the time. It was a clear example of the role the arts and museums on the economy. From the looks of bumper stickers on some of the cars, it appeared that the exhibit did attract visitors from Austin and other areas outside San Antonio, but the more profound impacts, in my opinion, are the enhanced quality of life and the creative inspiration it provided many of those who saw the exhibit. While the ability of an art exhibit to attract visitors to the area is important, It is the impacts to quality of life and the inspiration they provide that attract the skilled, creative workers in all industries to a region, and it is exactly why the arts are so important to the continued development of a regional economy.